Pucci Mayfair serves a tantalising modern menu of small seasonal plates showcasing flavours from across the Mediterranean, alongside the classic pizzas with which Pucci’s is synonymous. The décor is bright and inviting, combining the cool exposed brick, considered light fittings and suspended greenery of a New York loft, with the charm of a traditional Italian bistro. With its entrance on Maddox Street, Pucci Mayfair also boasts an outdoor street-side terrace for alfresco dining, or aperitivo. 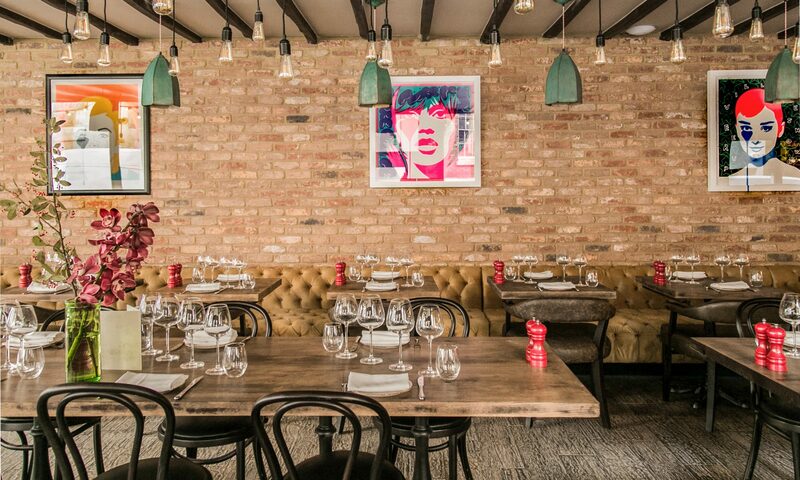 Chef Tilly Turbet’s menu sees influences from many countries surrounding the Mediterranean Sea, with Italy, Turkey and Lebanon at the forefront, using British produce where possible and supporting a number of small independent suppliers. We are open for lunch and dinner, late night refreshments, and everything in between. Pucci Mayfair is a modern and exciting revival of one of the most iconic and celebrated restaurants in London dining history. 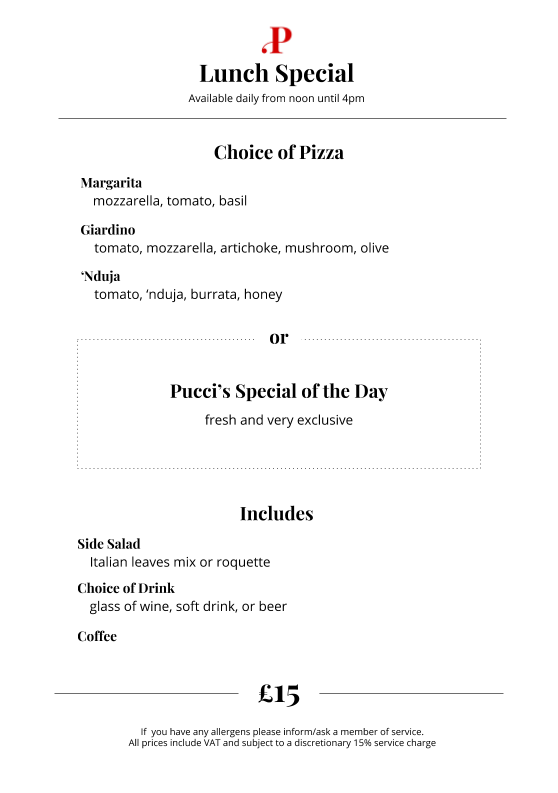 For 30 years Pucci Pizza on the King’s Road served models, rock stars, actors and aristocrats authentic southern Italian pizza in a vibrant and decadent restaurant where dancing on the tables was encouraged. Rufus, the son of the original owner, Giuseppe ‘Pucci’ Albanese has taken on his father’s mantle and is fronting the new Pucci Mayfair, ensuring that the restaurant is as convivial as ever. However, the Pucci menu has been revolutionised by the talented and ambitious chef Tilly Turbett (ex-Noma and Gordon Ramsay Group).